Local bus operator, First Scotland East/Midland Bluebird, has recorded an increase in passenger numbers across a range of services. First Scotland East/Midland Bluebird Managing Director, Paul McGowan, said a focus on listening to customers and stakeholders, route extensions and other service improvements have all helped to boost customer numbers. Service 29, Falkirk to Bathgate has seen an increase of more than 48% in passengers in the past year and the company has now extended the service to Broxburn. 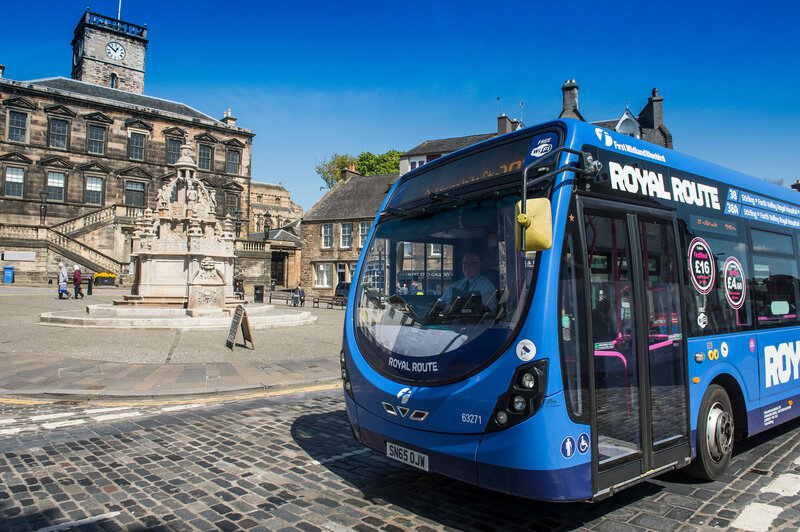 Service 2, Falkirk to Dunipace, has also been attracting significantly more passengers, with a rise of more than 12%, and the service has been now extended into Stirling. There has also been a passenger increase of more than 7% on the high frequency Services 27/28, between Bathgate, Livingston and Edinburgh. Humza Yousaf, Scottish Government Minister for Transport and the Islands, launched a new high-tech/low emissions fleet of First West Lothian buses on the route last year. Paul McGowan, Managing Director for First Scotland East/Midland Bluebird, said: “We’ve seen encouraging growth in passenger numbers on many routes in the past year and this has been exceptional in some cases. “We’ve achieved this through significant investment in our fleet and services, by listening to customers and through close partnership with stakeholders.